The VRT 350 is designed to be easy to use while maximising efficiency to reduce your energy consumption. It comes with wired or wireless options (whichever’s easiest for you) and it communicates with your boiler to adapt its energy consumption depending on what you need. 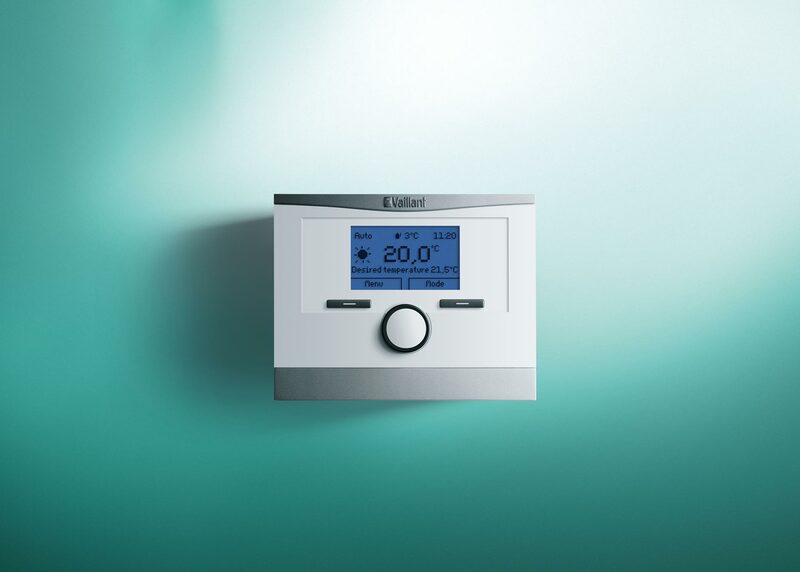 Easy to use – the VRT 350 has a familiar menu structure to make controlling your heating system as simple as possible. Choose between wired and wireless controls – You can fix the device to the wall or go wireless so you can take it anywhere around your home. 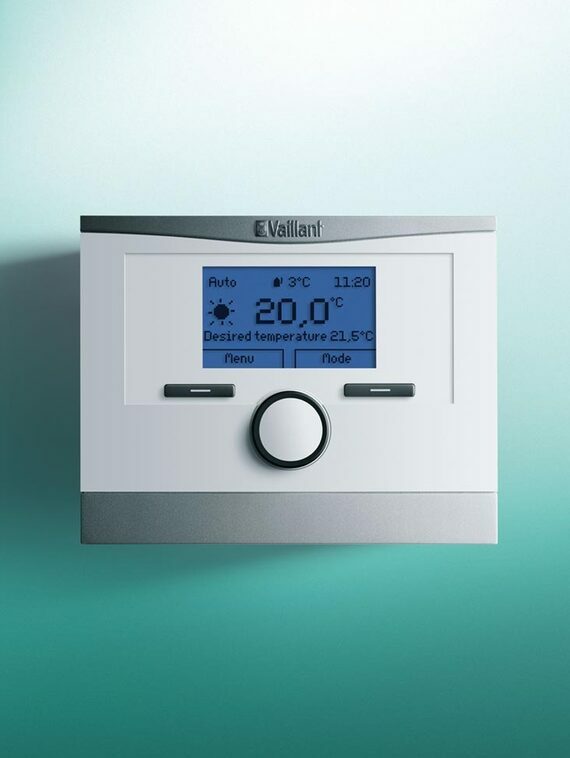 Reduce your energy bills – the VRT 350’s intelligent control means your Vaillant appliance will run in the most efficient way possible, using the minimum energy to get the temperature you want and saving you money. Flexible control – the simple menu and override functions allow you to quickly boost the heating and hot water whenever you need. Choose from a range of programmes – The VRT 350’s clear, high contrast display has programming options for 7 days, weekdays and weekends or 24-hour time periods, making it easy for you to create your comfort zone.